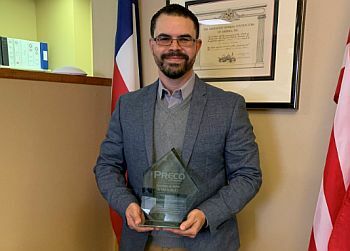 PRECO Electronics is proud to announce Fernando Figueroa, President, and co-founder of Curv Compliance, as the winner of the 2018 Excellence in Safety Award. Figueroa has built his career on keeping employees safe, well trained, and knowledgeable to reduce injuries and illnesses in the workplace. In honoring those who educate and take action to improve safety on and off the worksite, PRECO strives to support and bolster the significant difference safety leaders like Figueroa make across the globe. Figueroa is recognized for his initiative in launching Curv, a safety and compliance-focused consulting company. 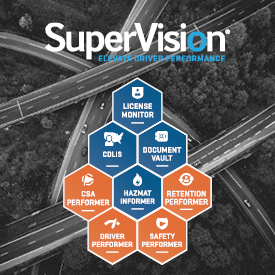 Designed to provide safety training, compliance audits, inspections, education, and guidance for businesses in need of industry-specific compliance resources, Curv implements corrective action processes to establish safe and effective operations. Figueroa serves as a board member for Associated General Contractors of America (AGC) and many other organizations, as well as serving as Chair for the AGC Education Committee.